The lowdown: Abdurrahman "Rock" Ya-Sin was hardly on the NFL’s map when he spent his first three seasons at FCS Presbyterian College – a school that only has produced one NFL player since the late 1980s: special-teams ace Justin Bethel. But Ya-Sin stepped right in there as a freshman contributor and made first-team All-Big South in 2017 with five interceptions before transferring to Temple as a grad student. And in a shocking show of respect for his talent and work ethic, Ya-Sin became the first player in program history to be allowed to wear a single-digit uniform number in his first season with the program, and he was granted it after less than two months on campus. Ya-Sin backed it up with a fine senior season with the Owls, earning first-team All-AAC in leading the team with 12 passes defended along with two interceptions before skipping Temple's bowl game, presumably to prepare for the draft. Although he lacks great footspeed, Ya-Sin is incredibly adept at sticking with receivers downfield and playing the ball in the air. He also held his own with a solid week at the Senior Bowl. One NFL defensive backs coach we spoke to has watched Ya-Sin and feels that his technique is a bit crude, although his natural instincts, physical conditioning and competitiveness all are NFL-caliber. Even though he’s been in more man-heavy schemes in college, Ya-Sin might be best working with a defense that slants toward more zone coverage – such as the Carolina Panthers, Indianapolis Colts, Seattle Seahawks, Los Angeles Chargers or Dallas Cowboys, for instance – where his long arms can be used to reroute receivers and his lack of great speed can be mitigated. We expect him to be a Year 1 reserve with the chance to be an above-average to good starter in time. Fun fact: Ya-Sin was a two-time state champion wrestler at Southwest DeKalb High School in Decatur, Georgia, and he didn’t start playing football until his junior year of high school. It appears that it was a wise decision. The lowdown: Few defenders in college football can claim to have gotten their hands on as many footballs as Love has the past two seasons, with 20 passes defended in 2017 and 16 more in 2018. That kind of ball hawking is rare, and it speaks to Love’s competitiveness and instincts. Although Love only pulled in one interception last season, he picked off three as a true sophomore in 2017 and ran back two of them for touchdowns. He’s been a mainstay on the Irish defense since his true freshman season, declaring for the draft as a junior. However, scouts tend to bet bigger on players with Love’s makeup who are able to overcome modest physical limitations to make plays on the ball. That’s what makes him, in our eyes, a high-floor prospect: Love should fit in both zone and man schemes and likely can operate inside in the slot or as an outside corner. He also has the potential to be an immediate special-teams contributor and has the selflessness and intangibles to be a 10-year pro. Love, who is described by teammates and coaches and humble and quiet, turned 21 years old in March. Fun fact: Love grew up in La Grange, Ill. (just outside of Chicago) going to Notre Dame games with his father, Detraiter, and he was a two-way star at Nazareth Academy, rushing for 1,067 yards 18 TDs; logging 662 yards and seven TDs receiving; and making 15 tackles for loss on defense for a team that won state titles in his junior and senior seasons. The lowdown: Tyshun "Deebo" Samuel fought through injuries to have a productive career for the Gamecocks as a receiver, returner and occasional runner. A hamstring injury limited him to five games as a redshirt freshman. Another hamstring cost him three games as a sophomore. He suffered a broken leg as a junior after only three games and later sprained his foot during rehabilitation. But as a senior, Samuel was healthy for South Carolina’s first 12 games before skipping his team’s bowl game to prepare for the draft. Samuel participated at the Senior Bowl, and one evaluator told us that Samuel was far and away the best receiver at the event. Samuel just makes things happen with the ball in his hands. On only 217 college touches, he scored 28 touchdowns. In fact, he scored in myriad ways: 16 as a receiver, seven as a runner, four on 42 kickoff returns, one on a fumble return after a muffed punt snap and two as a passer (2-for-2 career passing, 46 yards, two TDs). If you watch only one game of his, check out Samuel absolutely carving up national champion Clemson last season with a 10-catch, 210-yard, three-TD performance. He’s also useful in that he can play in the slot or outside, motion in as a running back, return punts and kicks and also serve as a gunner on punt coverage. His game is predicated on short-area quickness, competitiveness and ability to run to daylight, and Samuel can impact a game even with limited touches (see Missouri and NC State games in 2017). He’s not considered field-fast, although Samuel’s combine testing numbers in the 40-yard dash (4.48), 3-cone drill (7.03) and 20-yard shuttle (4.14) were considered more than adequate for a slot receiver. Samuel attacks the ball with an aggressive mentality and has large hands (10 inches) to pluck it away from defenders. He also blocks in the run game like has something to prove and can be a tone setter as a fearless and clutch performer. The injury concerns, however, are real, and no NFL teams like to see chronic soft-tissue ailments on a player’s medical records. He also lacks the true suddenness to be a go-to receiver, but Samuel could carve out a Golden Tate-like career and be a very respectable playmaker if he can stay on the field. Fun fact: Samuel’s father gave him the nickname of Deebo, which came from the tough-guy character in the movie “Friday.” Growing up in a tough area and getting bullied a lot, Samuel refused to back down, earning the nickname and giving opponents a taste of the kind of player he’s become. The lowdown: Gardner-Johnson seemed to turn the corner fully as a sophomore, but he built off a two-interception performance in the 2016 season Outback Bowl as the game’s MVP as a freshman. In 2017, Gardner-Johnson totaled six tackles for loss, one sack and three interceptions, and he bettered those totals in 2018 with nine tackles for loss, three sacks and four interceptions (two run back for scores). He thrived in a nickel role in the Gators’ 4-2-5 defense, named the “Star” position where his playmaking ability really shined last season. Although Gardner-Johnson might not be best suited as a true, middle-of-the-field safety (although he made several touchdown-saving tackles in 2017), he has plenty of versatility in his game to find a defined role for an NFL defense. With good athletic traits (albeit middling combine testing), football IQ (he was the main communicator on the back end, making calls and adjustments and getting everyone lined up properly) and aggressiveness, Gardner-Johnson profiles as a multifaceted disruptor. With more NFL teams using big receivers in the slot and flexing out backs and tight ends, he could draw a lot of those assignments and hold up well, we feel. Gardner-Johnson also can blitz, is a plus-run defender and has sideline-to-sideline range, but his aggressiveness can work against him at times. He goes for kill shots in the run game, which can lead to whiffed tackles and penalties, and will overplay the pass and allow big plays to go past him (see the Georgia game). Still, his past two seasons have shown a little bit of everything in his bag of tricks, and Gardner-Johnson could have a bright future if he’s used correctly and given time to settle into the role against NFL passing games. Fun fact: Prior to his junior year, Gardner-Johnson added the hyphenated part of his name to honor his stepfather, Brian Johnson, aka “Pops,” who has been a big part of his life since the age of 3. His biological father has been a part of Gardner-Johnson’s life, but Johnson has been more of a day-to-day father since then. The lowdown: A chess piece for Urban Meyer’s and Ryan Day’s offense, Campbell broke out as a junior in a hybrid role. Campbell was effective returning kickoffs, taking handoffs and catching the football. That role became more streamlined in 2018 as he spent more time as a wide receiver, but watching him proves to be an interesting study. Despite eventually running a 4.31 40-yard dash at the combine, Campbell was not used extensively as a vertical receiver in that offense. It’s hard not to compare Campbell, style-wise, to former Ohio State weapon Curtis Samuel, who played the same position for the Buckeyes, or even a slightly less explosive and physical version of Percy Harvin, who was the original inspiration for the role Campbell played in Meyer’s system. 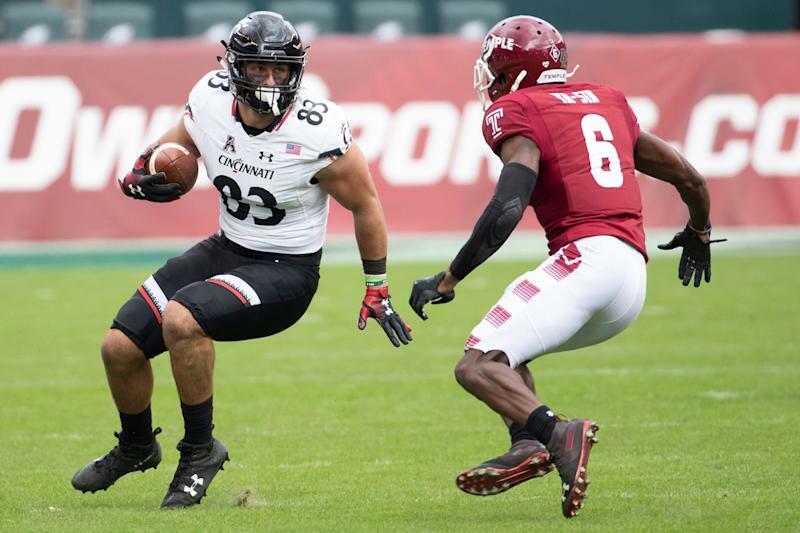 Campbell has worked hard on his hands (drops plagued him early in his career) and route running under the tutelage of former NFL receiver Brian Hartline and has an upward trajectory in these departments. If Campbell can continue working on his ability to win downfield – not just with his speed but with his ball-tracking ability – he could be a special weapon in an NFL offense. Fun fact: Campbell was a little-known recruit who wasn’t blazing the recruiting trails when he took the field to help his high school try to win a state title as a junior. At halftime, Campbell was having a big game and he caught wind of some breaking news from former Ohio State cornerback Doran Grant: Urban Meyer was a fan of his game. After halftime, an energized Campbell scored his third TD of the game and his team won the state title. Shortly thereafter, he committed to the Buckeyes. Off the hoof, Little appears to have everything you want in a franchise left tackle: namely the size, the athleticism and the length. Those are all big plusses. But there are technique issues in his game that can be exposed in big ways if he does not improve his hands and better maintain his balance. Little also plays too passively and reactively for our taste, as if he’s either reliant on his athletic gifts or whether he doubts himself. Adding core strength and having a demanding offensive line coach in the NFL could turn Little from an average starter into a Pro Bowl candidate. A zone-blocking team might be Little’s best destination. His punch and drive-blocking execution just lack power, and his feet and ability to bend well in pass protection line up with more of a finesse blocking scheme. His low-end vertical jump (25 inches, lower than many unathletic guards) speaks to the pack of explosion in his game. Little likely will be drafted and given a strong chance to start from Day 1, and his experience facing SEC pass rushers the past three years will make the transition easier, but he almost certainly will be a work in progress while he develops his craft and gains more raw strength and power. Fun fact: In 2014, Allen (Texas) High School featured what might have been one of the greatest offenses in recent history, with future Oklahoma QB Kyler Murray, Little and Oklahoma’s Bobby Evans at tackle and (former Notre Dame and North Texas) WR Jalen Guyton at receiver. Murray, Little and Evans all have a shot to be taken in the first few rounds, and Guyton could be a late pick or UDFA. Allen won its third straight state title that year and the unofficial national prep title. The lowdown: McCoy came to College Station a bit unheralded out of high school, but he ended up being a three-year starter (38 games) for the Aggies, earning a captain’s role in 2018. 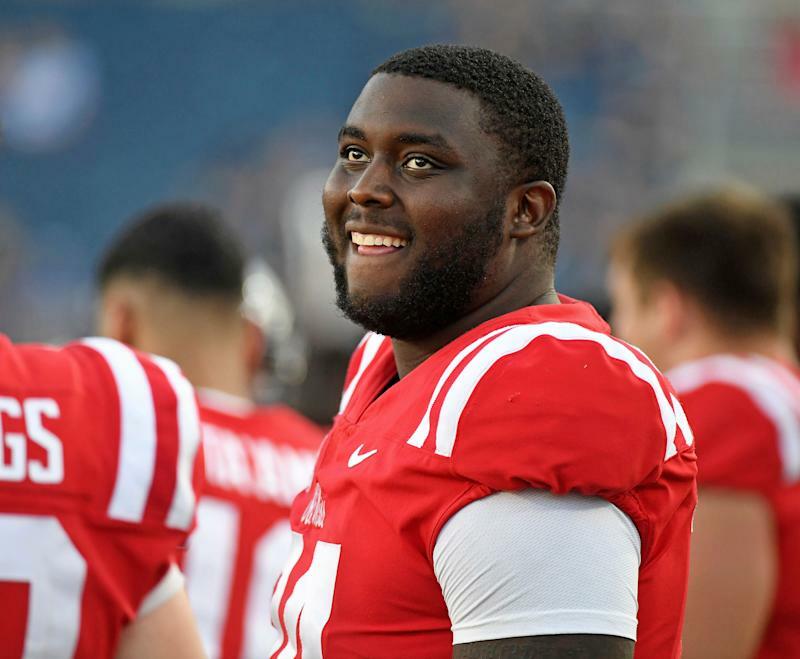 Although McCoy did not make first- or second-team all-SEC at center, he had a strong final season despite facing a battery of elite interior rushers, including Alabama’s Quinnen Williams, Clemson’s Dexter Lawrence and Christian Wilkins, Auburn’s Derrick Brown (a 2020 prospect) and Mississippi State’s Jeffery Simmons, all of whom are first-round talents. McCoy also had a great week of practice and a strong game performance at the Senior Bowl both in one-on-done drills and in team work. McCoy actually ran a 4.89 40-yard dash once the times were confirmed, and he also turned in very good numbers in the vertical jump (31 inches), broad jump (107 inches) and 20-yard shuttle (4.62) and put up an impressive 29 reps on the bench press but also had a shockingly slow 3-cone drill time (8.28) that led to a few head scratches. Nonetheless, McCoy displays easy movement ability to lead the screen game and even reach block quick nose tackles. Although Williams and Lawrence, among others, were able to win some individual battles against McCoy, he will enter the NFL with the chance to be a battle-tested Day 1 starter at either center or guard. He’s mentally sharp and has no glaring holes in his game, although scouts have painted him as more of a technically sound blocker than a dominator. With enough athletic ability, strength and bulk, and with good football instincts and toughness, we view McCoy as a very safe, projectable NFL prospect with solid upside. Fun fact: McCoy credits his grandfather for shaping him into the man he is today, growing up under tough circumstances with his mother helping raise the family without much in the way of wealth. McCoy and his grandfather, James, spent a lot of time together – including going out to eat, which was a treat, according to Erik, who said the family “didn’t really have a lot of money. And no one was more excited to have James see him start his first college game in the 2016 opener against UCLA than Erik. But two days before the game, James died of a pulmonary embolism at the age of 62. Erik attended the funeral on Friday and played the game on Saturday, and he’s got two roses and James McCoy’s birth and death dates tattooed on his right arm as a tribute to the man who helped raise him. The lowdown: With rare length – to go along with his height, Butler has 35-inch arms and nearly 11-inch hands – and great vertical production, he’s a unique specimen in this draft class. Butler averaged 22 yards per catch and logged 10 40-yard grabs this season as an acrobatic jump-ball specialist for the Cyclones. His production has improved with each season, as this raw but fascinating prospect has earned some well-regarded praise in NFL circles. But there remains a mystery whether Butler can win in the pros the way he did in college. Lacking polish in his route running and possessing inconsistent hands (a brilliant catch followed by a drop, e.g. ), there are legitimate questions about whether his game is ready-made, and Butler can’t count on winning jump balls in the NFL consistently against more seasoned, athletic and long defensive backs. That makes him one of the more polarizing prospects in this year’s class, but his gifts are undeniable. Butler shifts up to top speed impressively fast, has outstanding leaping ability and has made tangible strides each season after being an overlooked recruit coming out of Texas. He plays with an edge, both in securing the catch and running with the ball in his hands, and Butler emerged as a strong blocker who can extend and lock his arms on smaller defenders effectively. Working with former Detroit Lions receiver Calvin Johnson, Butler hopes to improve his technique off the line and at the top of his routes. We can envision the long-striding Butler emerging as a quality “X” receiver in time, winning on 50-50 balls (red zone) and back-shoulder fades (sideline) in the NFL. He’s got the wide and flexible frame and a massive catch radius to make a less-than-pinpoint quarterback effective, and his body control in tight spaces is underrated. Even though he needs route refinement, Butler could emerge as a rare weapon in time. Fun fact: Butler’s mother died of breast cancer when he was 16. He moved to Texas to live with his twin cousins, Aaron and Andrew Harrison, who helped Kentucky basketball reach back-to-back Final Fours. Butler struggled to keep his grades in order in high school, almost costing himself a shot to qualify at Iowa State, but he finished high school strong academically. The cousins all remain very close to this day, and all three could be playing sports professionally this year. Andrew plays basketball in Russia, Aaron in Turkey, and Butler is expected to be drafted high into the NFL. The lowdown: As a wide receiver his freshman season, Layne caught one 11-yard pass. The Spartans coaches converted him to cornerback midway through that year, and he didn’t take long to make his impact felt at the new spot, running back an interception 43 yards for a touchdown in his first start against Northwestern. After starting five games his first season, Layne became a full-time starter in 2017 (being named honorable mention all-Big Ten) and earned second-team all-conference merit in 2018 before skipping the Redbox Bowl and declaring for the draft. Layne, who turned 21 in January, was among the leaders in FBS with 15 passes defended in 2018. He uses his 33-inch arms and great length to deny receivers the ball, but don’t overlook Layne’s good instincts and receiver background in the equation. Although Layne isn’t blazingly fast, he moves efficiently and can cover receivers with even faster speed than his timed 40 of 4.5 seconds. Some teams are projecting him to be most effective in a press-man system, but it appears that Layne has enough versatility to his game to not be branded a scheme-specific defender. With this kind of length and improved diagnostic skills, there’s a reason he has risen late in the draft process. Scouts have given him longer looks since Layne declared and feel that some of his technical shortcomings, such as false steps in coverage, can be cleaned up in time. He’s likely never going to be a stick-um corner who can handle elite quickness, and Layne needs to demonstrate better run-support skills and show a little more grit in his approach, but he has everything in his toolbox to end up being the eventual CB1 in this class down the road. Fun fact: The Spartans have had success with position switches before. 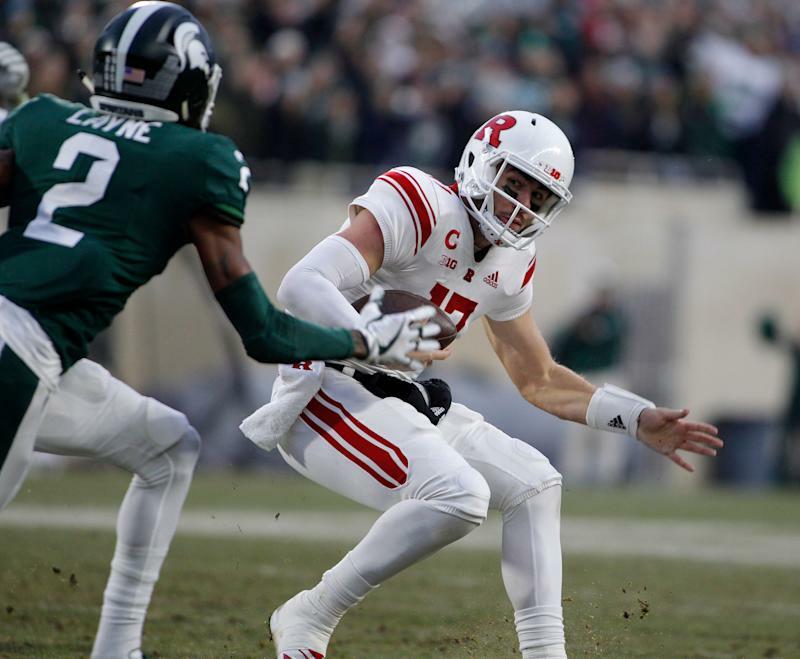 Like Layne, Tony Lippett started out as a wide receiver, and he moved to cornerback for the Spartans before playing both positions as a senior out of need. He was drafted as a corner by the Miami Dolphins and is now with the New York Giants. Jeremy Langford didn’t have extended NFL success, but he also switched positions – from running back to cornerback and then back to RB – that ended up helping him in college and the pros. Safety Montae Nicholson also was tried at receiver at times early in his career. The lowdown: Despite lacking elite athletic traits, Montgomery became one of the most productive runners in college football over the past two seasons with a combined 2,362 rush yards and 24 touchdowns, along with 58 receptions. After being named all-Big 12 as a junior, Montgomery declared for the draft and will enter the NFL with fairly modest wear and tear (695 touches in three seasons) considering how much the Cyclones leaned on him. He’s an extremely shifty runner in space or in tight cracks, using his exceptional vision and short-area burst to create extra yardage. Montgomery’s lack of breakaway speed and big plays in college checks as a negative in scouts’ eyes, but he can make something out of nothing most of the time and keep an NFL offense ahead of the chains. He’s also well-built for the position and avoids hits and bounces off of would-be tacklers well. Montgomery also checks off major boxes with his toughness and football character, interviewing extremely impressively throughout the draft process, and he was underused as a three-down option in college. Mostly given dump-off passes, Montgomery has shown enough flashes as a receiver and pass protector to be a great fit for a team that runs a lot of two-minute drills and doesn’t want to sub out its backs. The lack of long speed will be a hangup for some teams, but studies have shown that many backs who lack that extra gear have had success with skills that are comparable to what Montgomery brings. He might never be regarded as a special back in the NFL, but there’s plenty to like about his multi-faceted game. Fun fact: Montgomery jokes that all he likes to do is fish, read books, watch tape and play football, but he’s being modest. He also earned Eagle Scout status while growing up in Cincinnati, and his scout project involved donating and collecting personal hygiene products, such as soap and deodorant, to give to a local homeless shelter.